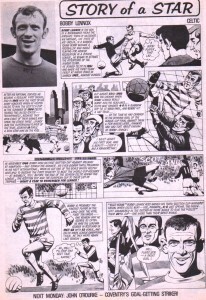 In this article we are going to have a close look at Celtic players who have been featured in illustration from the past in comics and magazines. Through the decades young boys have enjoyed reading comics and many of us recall our early years when reading the Dandy, Beano, Beezer and Topper and maybe also the war focused comics such as the Victor and the Hotspur. Remember the last two ? These gave young boys a fine education in foreign languages with such useful phrases as Banzai ! and Gott Im Himmel ! which I am sure served them well in later life. There was a character I recall called Alf Tupper (what a name) who would do a 12 hour shift down a mine, throw down a fish supper with a bottle of Irn Bru and proceed to break the four minute mile, thrashing a selection of public schoolboys in the process. Forget Jimmy Reid and Arthur Scargill, Alf was the main socialist icon in Britain in the 1970’s. 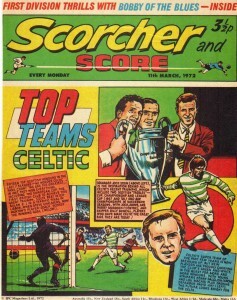 The football based comics of the period of the 1960’s and 70’s tended to be Scorcher, Score, Scoop and Roy of the Rovers and Celtic have featured in these publication over the years which we are about to see. 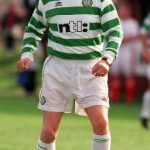 Firstly, a worthy mention has to go to Tommy and Patrick Canning who brought out their splendid book, ‘The Will to Win’, a Celtic history in cartoon form from 1988, of which I have a copy of in pristine condition and will keep until junior gets to a certain age when he can learn about some real history. Not many of you reading this may know that Eddie Pearson is an aficionado of comic books and has a considerable collection and knowledge of what he refers to as ‘Graphic Novels’. Personally, I prefer to call them comics. Don’t worry Eddie, I won’t mention your penchant for dressing up as Batman…your secret’s safe with me. Anyway, I digress now on to the pics. Remember to click on each image to see it in its full glory. Pic 1 shows a ‘Story of a Match’ in 1971 and shows the Scottish cup final of that year in drawings which chronicles Celtic’s 2-1 win after a replay. Is it just me or does the Tommy Callaghan drawing look odd ? 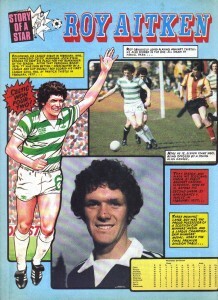 Pics 2 and 3 which is again the story of a Celtic star, this time Roy Aitken. 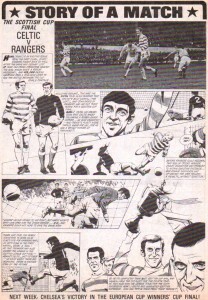 These drawings are from Roy Of The Rovers comic in 1988 and Aitken was featured as he was Celtic’s captain in the centenary season and is part of their Story of a Star series. The article shows a nice balance of pictures and drawings and was a fine effort. Feed the Bear ! 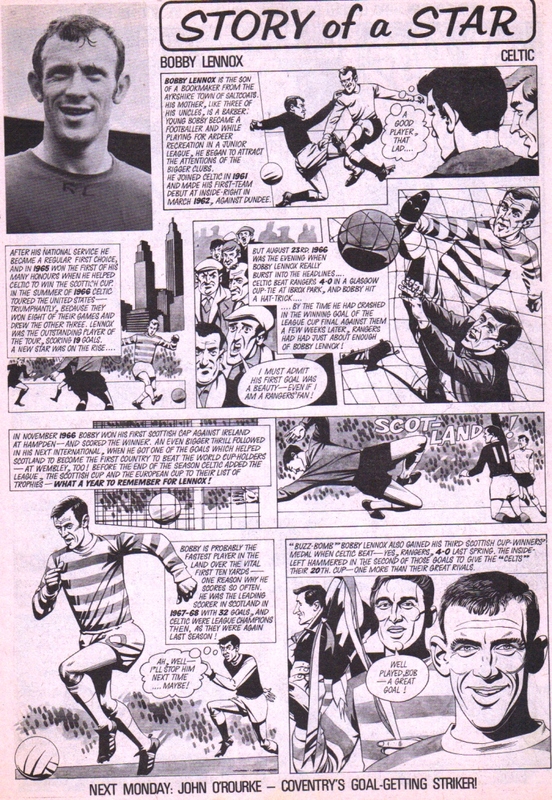 Pic 4 shows a cartoon story from Score comic in 1970 and is titled ‘The Bobby Lennox Story’. 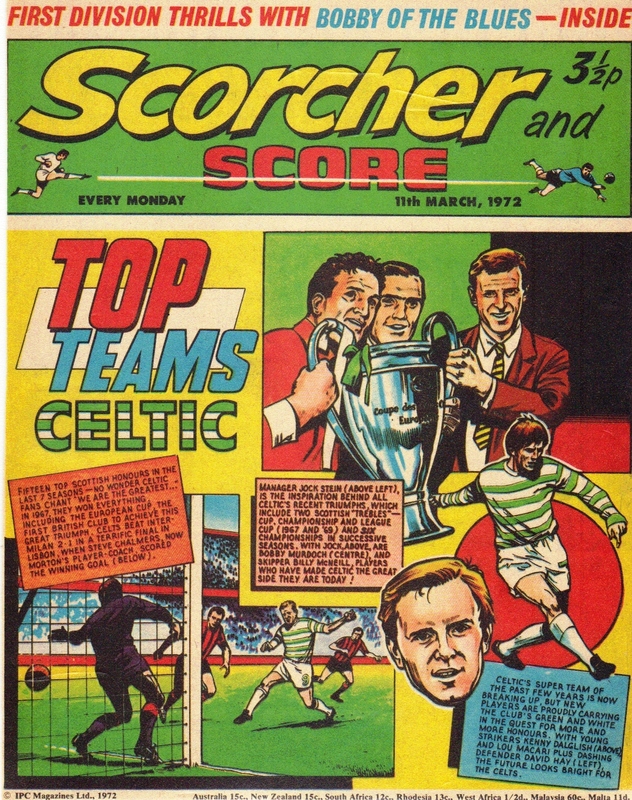 Score was a short lived comic which eventually merged with Scorcher and the Lennox article is aimed at very young fans and was a decent effort. Pic 5 comes from Scoop magazine in 1981. 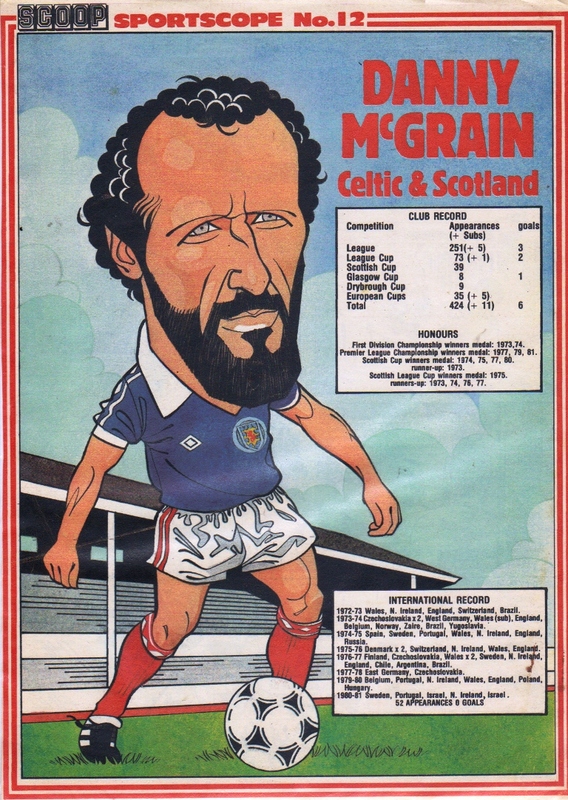 This drawing is a flattering caricature of Danny McGrain, who by this time sported a familiar beard and was now captain of club and country and he is shown in the Scotland colours. 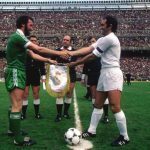 Danny’s international record and list of honours is shown and is impressive and happily Danny did not end there and added many more in the following years. 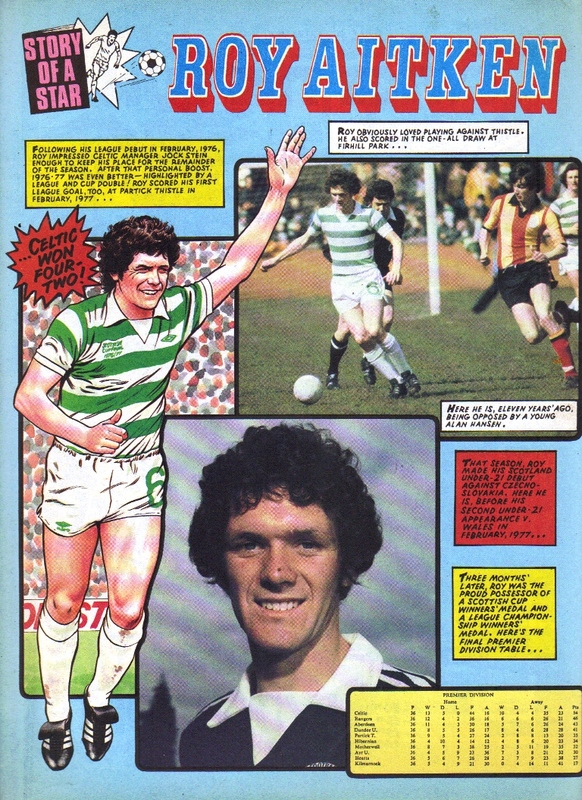 Pic 6 stays with Danny and shows an article from 1977 which was found in a magazine called ‘Look – In’. This was a production from ITV and is probably best described as a kids’ version of the TV Times from the period. I recall that the two inside back pages showed the kids’ TV for the different regions in the UK, for the following week, and only served to remind kids who watched STV that the selection of programmes was mince compared to the regions in England and Wales. 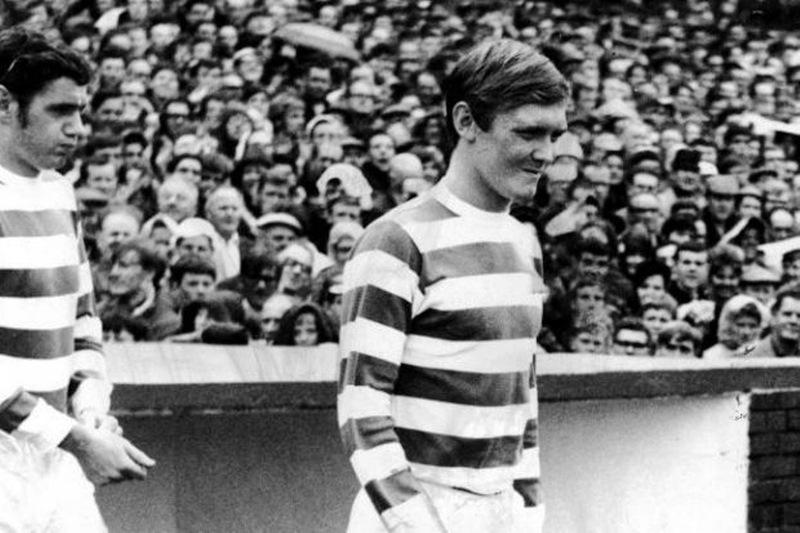 Each week the excellent football commentator Brian Moore focused on a player who had particularly impressed him. 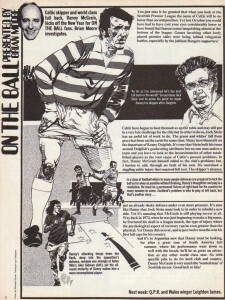 The article shows a fine image of Danny and the text is very complimentary and shows the esteem that Danny was held, even down south in England. I never tire of repeating in my articles that Danny McGrain at this period in time was a truly world class player. The rest of the images provided come from a fine publication called Scorcher which was aimed at young boys of primary school level and sadly stopped in 1974. 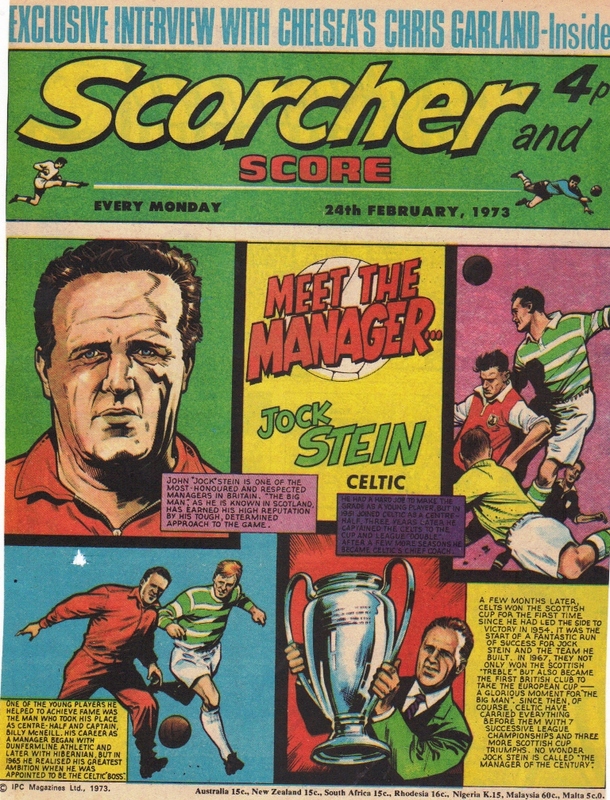 Scorcher comics of the period of the early 70’s always had very distinctive front cover artistic drawings and there was normally a particular series over a period of time, such as The Great Managers or The Great Captains which were presented each week on the front page. 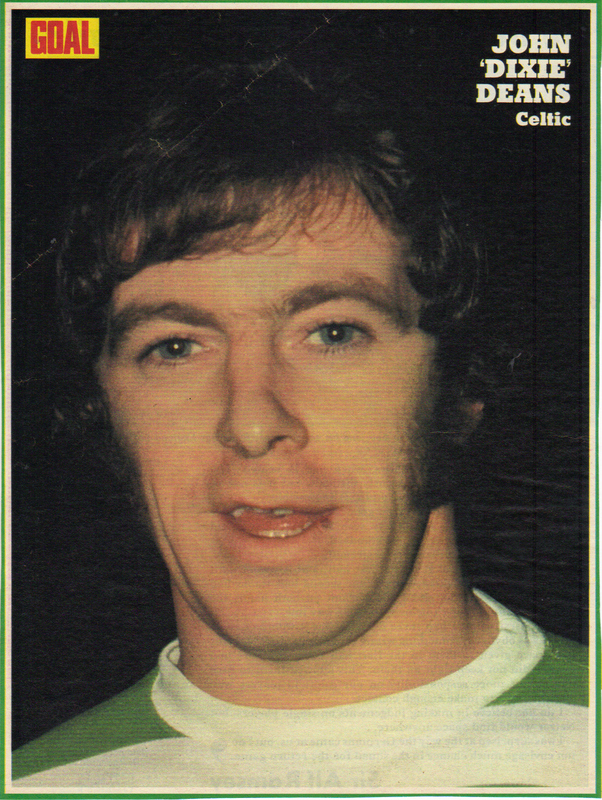 Pic 7 is from March 1972 and the series this time is ‘Top Teams’ and Celtic were indeed a top team in 1972. This gives a very short history of the club and if you look closely it shows the small faux pas of Inter Milan in 1967 playing in the AC Milan colours of red and black ! 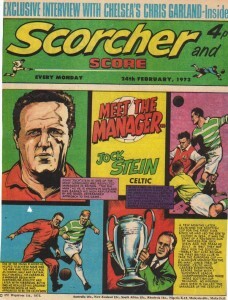 Pic 8 focuses on ‘Meet the Manager’ from February 1973 and features the legendary Jock Stein. 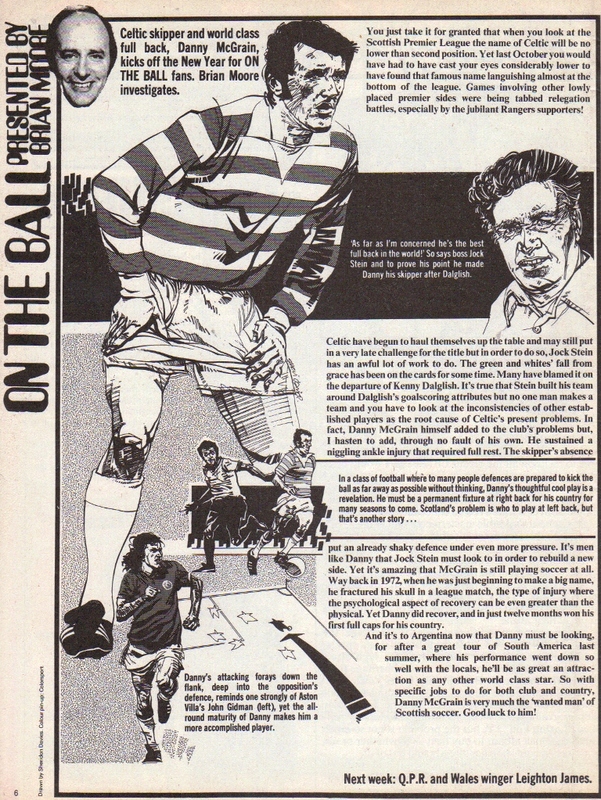 Again the drawings are decent and show the big man from his playing days against Arsenal in the Coronation Cup to being Celtic manager. 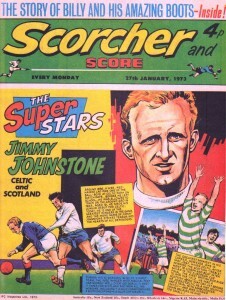 Pic 9 is from the ‘Superstars’ series and shows the one and only Jimmy Johnstone. 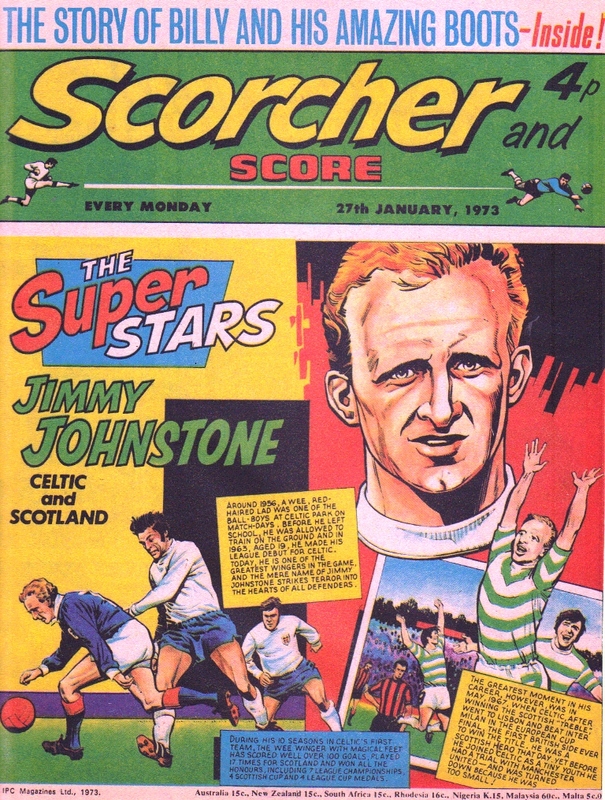 This has a short biography of Jinky but again shows Inter Milan in red and black. The artist was either colour blind or was severely confused with the Milanese clubs ! 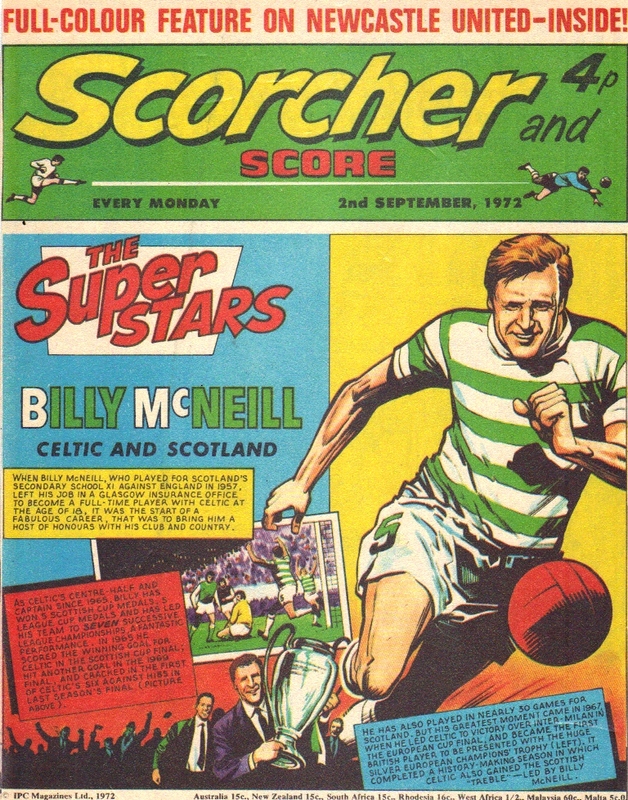 Pic 10 shows another Celtic ‘Superstar’ – Billy McNeill from September 1972’. 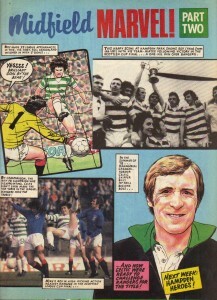 The drawing shows a happy Billy and spotlights some of the big man’s career highlights. 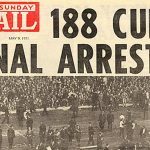 Pic 11 is from July 1971 and shows ‘The Roll Of Honour’ from 1970/71 which happily shows that the Celts won the League and Cup double. 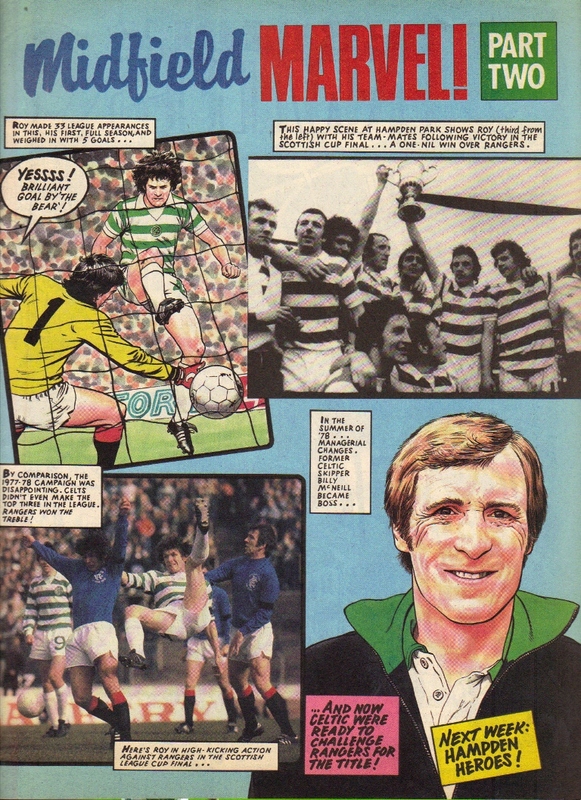 The drawings are of a decent standard particularly the Jinky one. The cost of the comic is three and a half pence (!!!). What do you mean what’s a half pence…? So that’s your lot. 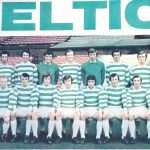 If you are of a certain age and recall Hot Shot Hamish, Billy’s Boots and Roy Race then you’ve probably enjoyed this wee trip down memory lane. If not, away and ask your Dad about half pences, half crowns, shillings, decimalisation and the three day week. NextDoes This Jacket Button Up The Back?